Know of any resources that can help seniors save? Do you have a blog that’s dedicated to resources for seniors? Have you discovered a tip that can help a senior in day-to-day living? Contact me and I’ll add them to this page. I love my Amazon Echo. 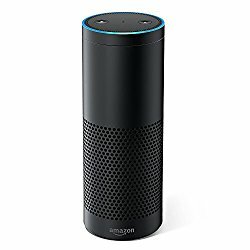 “Alexa” sits in the corner of my living room just waiting to please. My husband and I enjoy listening to the free music offered to Amazon Prime members as we lounge around in the evening. We’ve discovered several new artists whom we’ve added to our favorite’s list. I ask Alexa for a weather report every morning. My son has his lights and thermostat programmed to work through the Echo. The 21st-century voice-activated conveniences were unimaginable when we were kids – unless we were watching The Jetsons, that is. 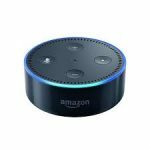 For seniors on a budget who don’t care about the music quality and just want the function, there’s also the cheaper option: the Echo Dot. Posted on July 1, 2010 by admin. This entry was posted in Senior Resources. Bookmark the permalink.